Five outstanding givers to the game of lacrosse will be inducted into the North Carolina Lacrosse Hall of Fame June 9 at the Grandover Resort in Greensboro, N.C., the North Carolina Chapters of U. S. Lacrosse announced late last week. This year’s Hall of Fame Class is comprised of a total of five inductees: Coach John Hayden of Apex HS; Coach Geoffrey Miller, who coached at Guilford College from 1980 to 1987; Game Officials Michelle Hood and Ronald Wilson; and Duke Whelan, who has been involved in organizing the high school championships prior to and after the sanctioning of the game by the NCHSAA, establishing various programs throughout the state that were essential for growing the game. 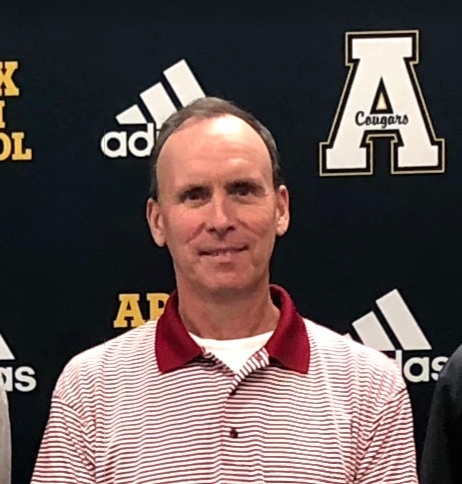 John Hayden has coached lacrosse at Apex High School as a club (2001) and a varsity team (2002) to the present time. His overall cumulative record is 309-98. Apex High School has played in 6 of the past 12 State Championship games, winning in 2005, 2013 and 2015. Congratulations, Coach Hayden! You make us proud. Learn more here.